Year of the Pig Celebrations 2019! 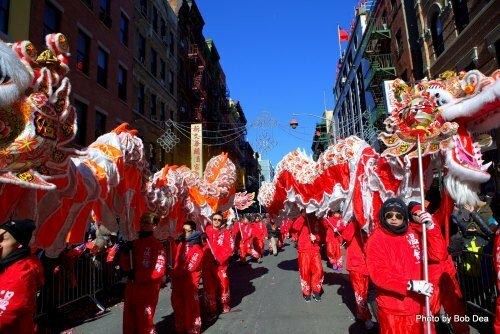 New York City's Chinatown is the epicenter of the Lunar New Year celebrations with the fantastic Parade and Festival and the New Year's Day Firecracker Ceremony. 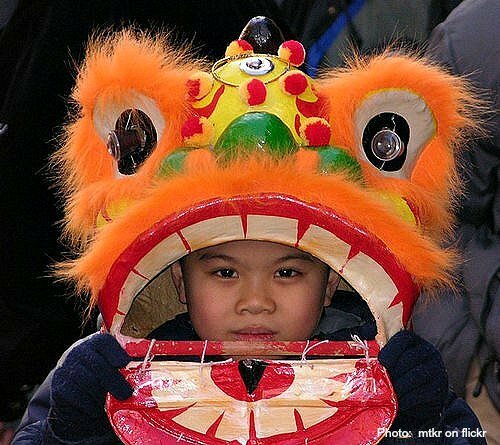 These two events have been for years the iconic NYC traditional celebrations for the Spring Festival. 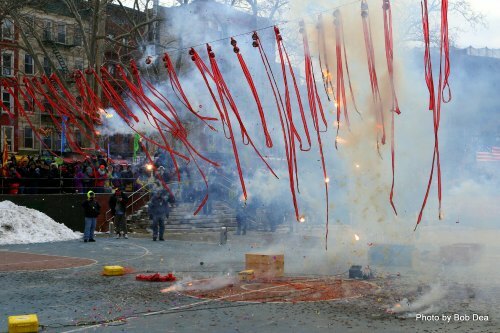 More recently we have seen the development of a series of exciting arts and cultural events pioneered by the China Central Academy of Fine Arts (CAFA) in association with the U.S.-China Cultural Institute and other community organizations, which has given way to the "Happy Chinese New Year: Fantastic Art China Festival", featuring a lavish fireworks display over the Hudson River as well as the New York Philharmonic Chinese New Year Concert and Gala and many more activities for children which are now able to participate since Chinese New Year is a public school holiday in the city! 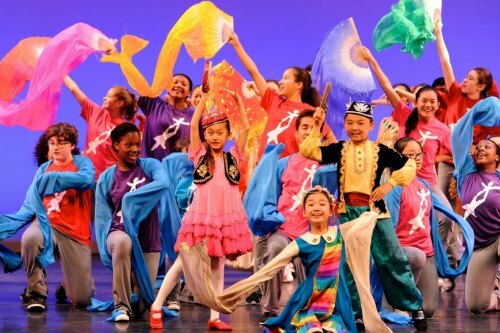 The following events are have in the past been organized as part of the "Happy Chinese New Year, Fantastic Art China New York Event Series" by the China Central Academy of Fine Arts (CAFA) in association with the U.S.-China Cultural Institute and many other organizations. Events for the 2019 Year of the Pig have not been confirmed. 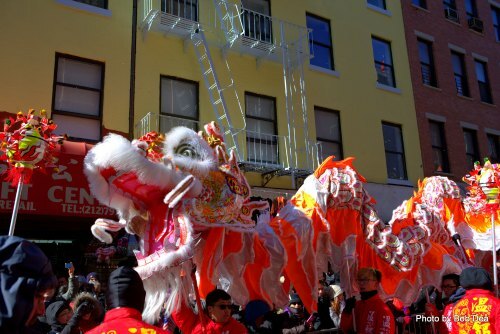 By far the most popular winter event in Chinatown, the annual Lunar New Year Parade and Festival is a great family attraction with thousands of revelers coming to ring in the New Year. The parade is a fantastic time for the entire family, so bundle up and come out! 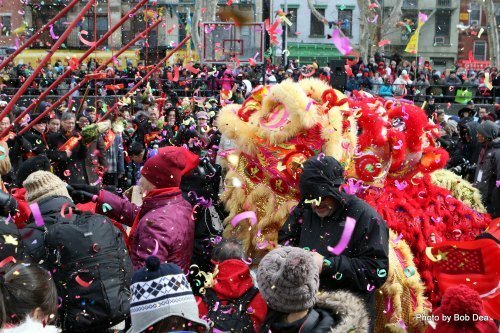 Parade route: Parade assembles on Mott and Hester and kicks off at 1:00 pm heading south towards Canal St. to Chatham Square, heads up to East Broadway towards the Manhattan Bridge, completing on Eldridge and Forsyth Streets towards Grand Street next to Sara D. Roosevelt Park. Suggested viewing locations: East Broadway or by Grand Street / Sara Roosevelt Park. The New York Philharmonic ushers in the Year of the Pig with a festive concert conducted by Long Yu, and Gala including pre-concert reception and post-concert dinner with the artists. For Gala tickets and tables contact specialevents@nyphil.org or call 212-875-5366. 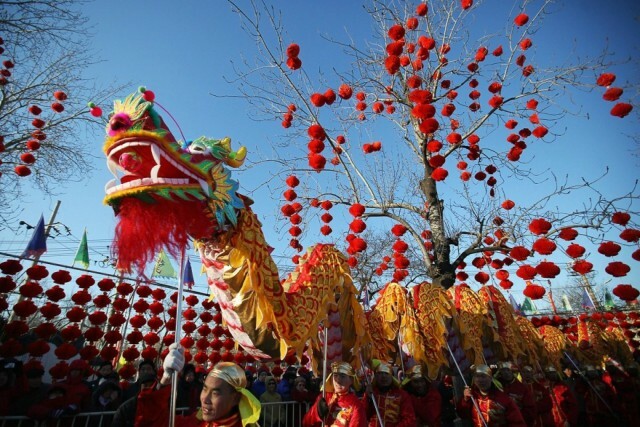 The following events are organized as part of the "Happy Chinese New Year, Fantastic Art China New York Event Series" by the China Central Academy of Fine Arts (CAFA) in association with the U.S.-China Cultural Institute and many other organizations. 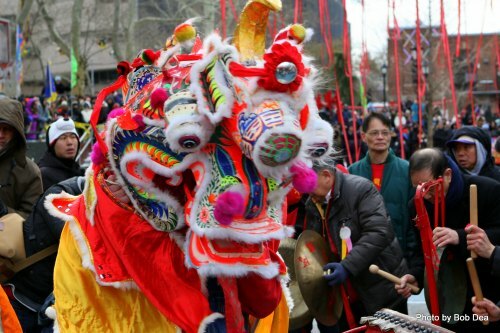 It is a series of mostly FREE events to celebrate the Lunar New Year in New York City, making it a perfect way to absorb Chinese arts and culture with the whole family. A Chinese celebration isn't a celebration without a lavish display of fireworks... and NYC rises to the occasion with a dazzling show over the Hudson River as splashes of light inundate the city and the Empire State Building beams red and gold, the auspicious colors for a lucky New Year. Students Day features performances by the National Dance Institute, Message via video from Lang Lang plus live performances from the Lang Lang International Music Foundation's Young Scholars Program, live performances from NY Philharmonic members and Very Young Composers, "Musical Postcards" between Very Young Composers in Shanghai and New York City. 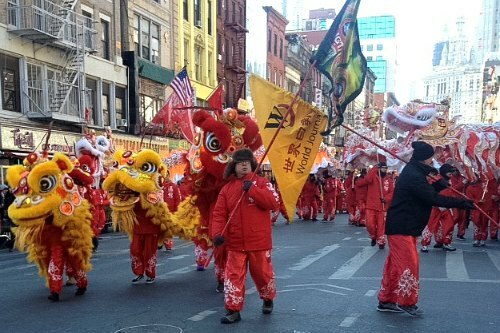 And of course NYC Chinatown does not have the monopoly on lively celebrations for the new year! 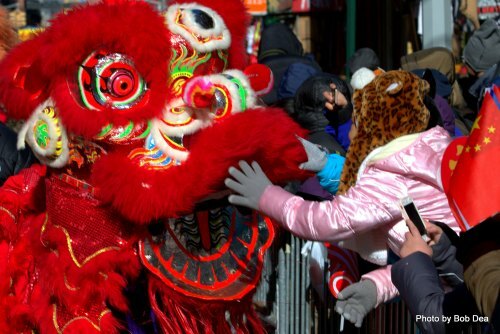 There are hundreds of events around the city, check out Mommy Poppins handy guide for Chinese New Year family friendly events in New York. Visiting New York City? This Guide is all you need to plan the perfect trip. Melissa has been passing down her "insider" information for years, there's tons of free advice, maps, tips and recommendations. 2018 is the Year of the Dog, find out here what it will bring! Here are some more of our favorite China Books and Resources for Children.